Home » Microsoft » Windows 10 » Is upgrading to Windows 10 worthy? 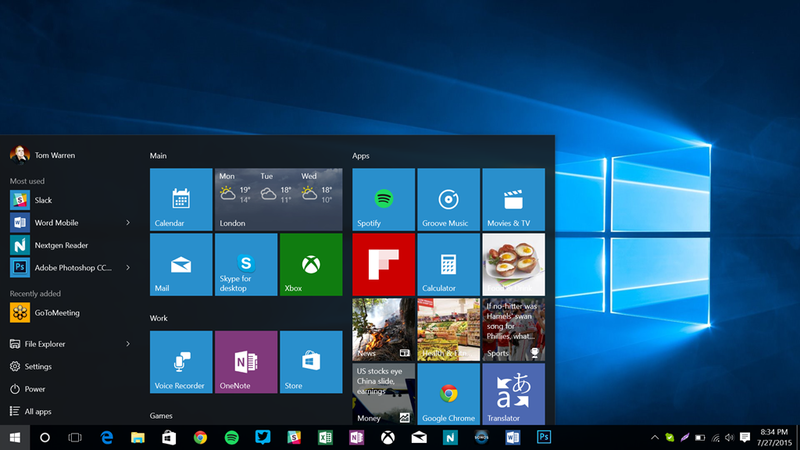 If you are reading this article then most likely you are wondering if upgrading to Windows 10 is really worthy? After all, the version of Windows you might be using right now is working OK, so why upgrade right? like the saying goes, why fix something when it ain’t broken. I started using Windows 10 On and Off since the technical preview was released by Microsoft last year. I’m a Linux guy, and I rather use Linux on my desktop instead of Windows for what I do, but to be honest, Windows 10 looks pretty good, and I have thought of going back to Windows a couple of times. If you look at the Windows release history starting from Windows 98, you will notice a pattern right away. Windows 98 was a good release, but Windows ME was not, Windows 2000 was a good release, and Windows XP wasn’t good until SP2 came out, then came Windows Vista which was horrible, and then Windows 7 was solid. Windows 8 was really bad, so based on the release history pattern, Windows 10 should be good right? and its is! I think the biggest reason to upgrade right now is to get the free upgrade , you only get the free upgrade if you are currently using Windows 7, Windows 8 or Windows 8.1. the Windows 10 upgrade won’t be free indefinitely neither, according to Microsoft the last day you will be able to upgrade to Windows 10 for free will be July 29th 2016. I don’t know if the free upgrade period will be extended beyond that. Q. Can you install Windows 10 for free if you don’t have Windows 7, Windows 8 or Windows 8.1 currently installed? No, I tried and you cannot. you need to buy a license key if you are doing a fresh install.